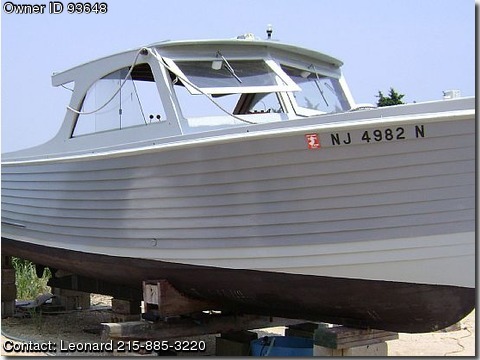 Call Boat Owner Leonard 215-885-3220 267-242-1696. Description: Anchor, bilge pump, Coast Guard, full gauges, hard top, VHF, winter cover, sleeps 2, prof. maintained. Cedar planks on Oak ribs 6inches o.c. riveted. controls, mahogany interior, 2nd owner past 30 years. Great boat with low hours.